Basic custom imprint setup & PDF proof included! 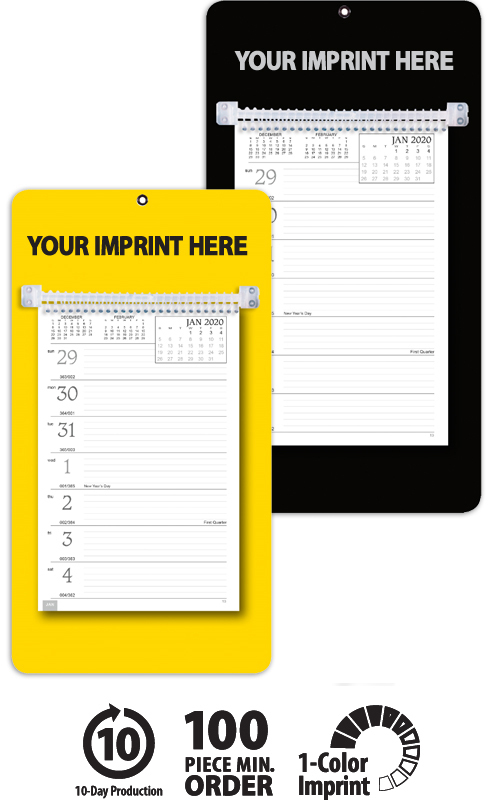 This handy model has a sturdy mount board with a hanging hole, along with ruled daily memo space. 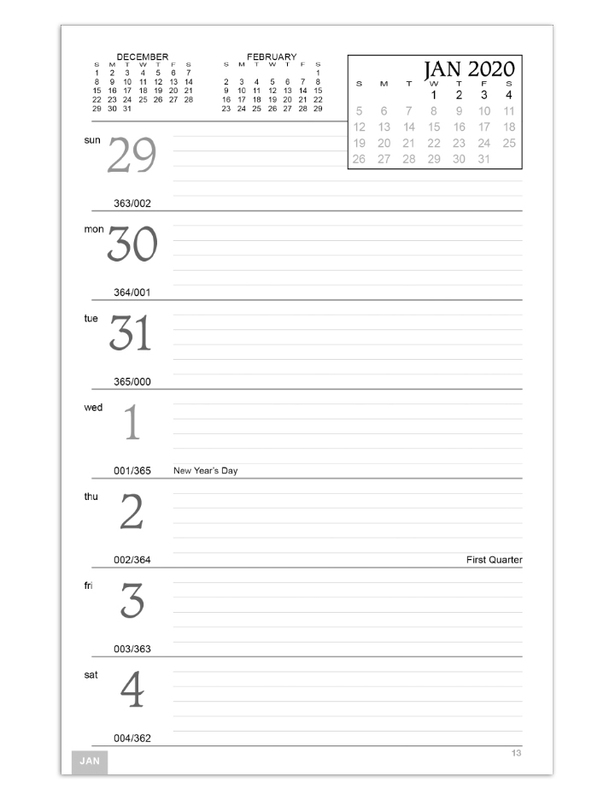 View a full week with insets of before, current and after months on every page. 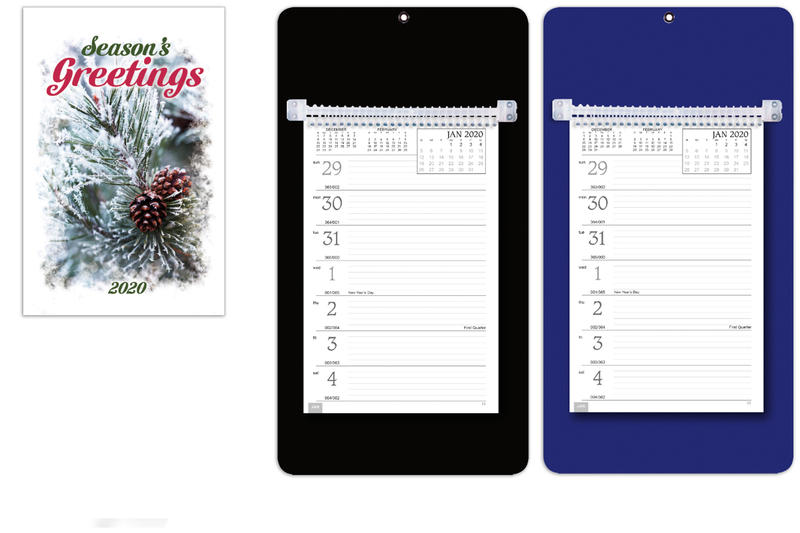 Available with or without easel back option. 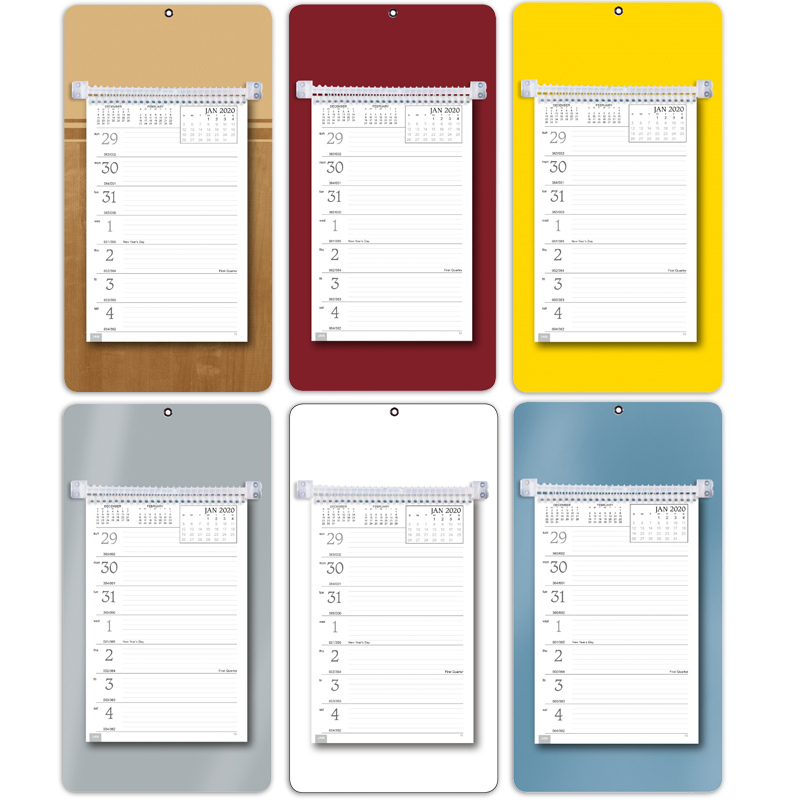 This high-quality Promotional Weekly Memo Board Calendar will proudly display your message for the entire year! Black ink is standard on the: butcher block, metallic blue, metallic silver, white or yellow mounts. Silver ink (877) is standard on black, blue or maroon mounts.